Why didn’t history’s greatest playwright ever write a novel? Why didn’t the author of one history’s great novels focus his career on the stage? The two were contemporaries. 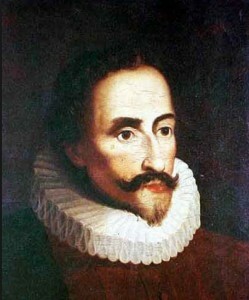 Cervantes was born in 1547, Shakespeare seven years later. Both died in 1616, a few days apart. Why did they choose such different literary paths? Our contemporary culture is divided into artists and whores. Artists create works of art for art’s sake, whores for money. The pretentious artists shun the whores. The market-driven whores aren’t even aware of the artists’ existence. In publishing this divide takes the form of literary or commercial fiction. Occasionally a writer stands in both worlds, but not often. And it’s true many great writers, like Tolstoy and Flaubert, wrote mainly for self-fulfillment. But what of those who needed to work for a living, like Dickens and Dostoevsky? Dickens started his own magazine to serialize his work and toured America giving readings to paying audiences. Dostoevsky wrote The Gambler in four weeks to pay his own gambling debts. But to twentieth-century writers and critics the former example seemed purer. Artists disappeared into themselves. And what of Cervantes and Shakespeare? Did Shakespeare write Hamlet to wrestle his own existential demons? Did Cervantes write Don Quixote to humor his personal muse? Neither man came from nobility or received a university education. They both needed to work for their bread, and their literary gifts gave them the means to rise above their class. 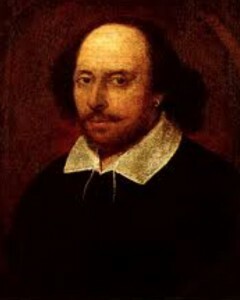 Shakespeare succeeded and became a prominent landowner. Cervantes wrote the most popular book in the world, but he sold away the rights and remained impoverished. Still, his intent was clearly to profit from his writing. He did write many plays, but he wasn’t a good poet, and the great Spanish playwright of the age, Lope de Vega, was a more formidable and hostile opponent than Don Quixote’s windmills. Cervantes was more strongly influenced by the chivalrous novel, which enjoyed immense popularity in Spain, and twenty years before his masterpiece appeared he published a novel in that genre, La Galatea, which brought him early renown, if not riches. Shakespeare, on the other hand, was an actor as well as playwright, which gave him entrance into the theatrical world. And his main rival, Christopher Marlowe, born the same year, was stabbed to death in a tavern at the age of twenty-nine. We find strong evidence that Shakespeare’s work was motivated by the marketplace in his activity from 1592 to 1594 when plague closed the London theaters. An art-for-art’s sake acolyte would have holed up in a garrett and penned plays for the theater of his mind. But Shakespeare turned to poetry and found a wealthy patron. The late Norman Mailer revered the novel form for its heroic dimensions, but history’s most heroic writer, who found time to write thirty-six plays, 154 sonnets, and several long poems, never made time to write a single novel. He was more interested in property, and when he had enough he gave up writing even plays and poems and enjoyed a well-deserved retirement in Stratford. Cervantes and Shakespeare were contemporaries, but there’s no evidence they knew of each other’s existence. But imagine if globalization existed back then. What would have been the consequence for their careers? It would have been disastrous for one of them, maybe for both. Shakespeare didn’t invent the Elizabethan drama, not even the genres such as history and comedy, not even the basic plots for most of his plays, not even the iambic pentameter scansion. A lively dramatic environment already existed when he came on the scene, and if he had never written a word we would still call that time the golden age of English theater because of figures such as Christopher Marlowe, Ben Johnson and Thomas Kyd. But while the English theater was prosperous and artistically sophisticated, it was also a very small world. London.  A handful of companies. But what if one season Don Quioxte appeared on the London stage, adapted from the book with all the attendant publicity that precedes an international bestseller? Maybe it would have been the blockbuster of the day, eclipsing whatever Shakespeare was working on. Well, what was he working on? Don Quixote was published in 1605. This was around the time of the premieres of Othello, King Lear, and Macbeth. With such a funny, popular and exotic story playing down the road maybe the English public would have lost its patience for tragedy. Perhaps British printers would have seen no reason to publish his earlier plays, such as Romeo and Juliet, and Hamlet. Or perhaps a well-translated and marketed edition of Don Quioxte would have popularizing the novel in England a century before Richardson and Fielding. Perhaps novelists would have marginalized playwrights as they would do in the twentieth century. And what of Cervantes? What if the Elizabethan stage had come to Madrid and Seville? What if Hamlet and King Lear had wowed the Spanish critics, who then declared that serious writers wrote tragedy for the stage, not thousand page pop culture satires? Would Cervantes have forsaken his man of La Mancha for uninspired attempts at Nordic angst? Maybe he could still sell some books, but who among the literati were going to take his rambling prose seriously compared with Shakespeare’s poetry? Competition isn’t always a good thing, especially in the arts. It wasn’t good for Leonardo and Michaelangelo, who wasted creative energy battling each other. It wasn’t good for Tolstoy and Dostoevsky, or Dickens and Thackery, who were wise enough to stay out of each other’s way. It wasn’t good for Shelly and Byron, who lost their ghost story competition to a young woman who would never write a second book. Ignorance allowed Cervantes and Shakespeare, and their genres, and their markets to flower without outside pressures. We see what an outside pressure like the plague did to the English theater. The blockbuster novel might have done similar damage. And in Spain the spectacle of Shakespeare’s plays might have left Castillians little patience to read, just as movies have done for modern readers. In the end of course globalization allowed Cervantes to be translated around the globe and Shakespeare to be performed on all the world’s stages. But that was after their death. In life they were like tortoises in the Galapagos, able to wander patiently in their own worlds rather than succumb prematurely to foreign predators.